With pool table, tennis table, playstation & a selection of dressing up costumes! 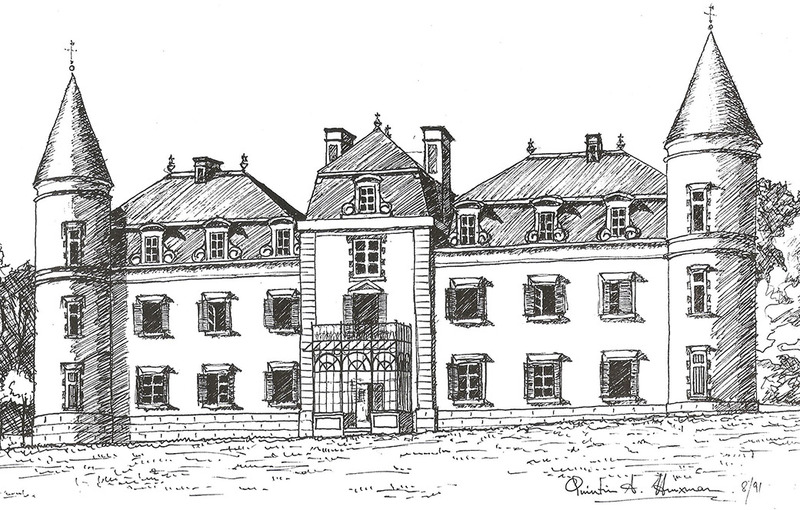 Château Bois Giraud is now one of the stars on the new series, Escape to the Château DIY. All set in the beautiful ‘garden of France’ the Loire valley. The chateau is available to hire throughout the year and is a fabulous location to holiday with family and friends. The chateau accommodates 18 with ease and is fully equipped to ensure your self-catering holiday in France is one to remember. Known for its historic towns, architecture and wines – the chateau is the perfect base for exploring this unique area of France. The chateau is a great location for long summer holidays or the cosy winter months – check availability and make bookings online. If you have questions that are not answered on our website or FAQ then please do get in touch, we’ll always do our best to accommodate your requests! Located between Nantes and Cholet in the beautiful Loire Valley, the chateau is set in 20 acres of rural parkland, offering guests a peaceful and secluded setting for their holiday. Guests have exclusive use of the grounds and large (12m x 6m) fully heated swimming pool. Prices range from £1,750​ to £6,500 per week. Huge thanks & credit to Tara Barratt, who made this wonderful video!